Lake Tibereas ( See of Galilee)-Palestine. And Jerusalem was built at least 4,000 years ago. (2,000 years before Prophet Abraham or Ibrahim ). Mizraim (Egypt) and Nimrod in Mesopotamia-Iraq. Canaanite Pottery found in Egypt.Similarity in animal domestication in both Canaan and Babylonia. Other civilizations in the region appeared and continued in forming our one Arab world and one Arab Nation. occupation of the Hyksos for 130 years (1480 B.C.-1350 B.C.). Hyksos infiltrated from central Asia. Pharaoh enslaved the Jews. map of Egypt, Canaan maps. Moses returned to Canaan to join his father in law and his wife, the Canaanite. Palestine map included. More in the slide show.More in the maps. Babylonia re-gained their glory and will be able later to enable us to gain a final victory over the Jews. As map number 11 explains. This map, explain assyrian Empire in two phases and the relation with palestine and the palestinians. Nebuchadnezzar take Jews to slavery in Iraq. (589,587,586) B.C. Palestine under Persian Empire occupation for 209 years (539-330)B.C. See slide, show, shows, slides, and slideshow.
" the Greek-oriented Christians did not very much appreciate the Latine dominance which had now come to the Holy Land-even the Jerusalem patriach was now of the Latin rite-and not a few fought with their Muslim neighbors against the western crusaders"
The Turkish did not inherit all the area gained by previous Arabic and Islamic powers. However, Turky extended its power farther in Europe, something the Arab attemped to do before. ..At the same time the British were seeking the help of anyone against Germany including the Arab and the Jews. Consequently, the Arab have fought along the British in the Hope to gain independence of Turkish, unknowing what the British have been cooking with the Jews and the Americans as Map of Palestine explains. This map illustrates the location of Lake Tibereas ( See of Galilee)-Palestine.see othe maps. Palestinian and other maps included in the slideshow or slid show. In this slide the poets Samish Qasim, Kasim, Fadwa Tukan poems and poem. (2) Flag of PalestineAbraham arrive to Palestine from Hurrians (orHorites )-Asia due to famine, through haran-Iraq, and Tudmor andDamascus in Syria about 2000 B.C. and leaves to Egypt due tofamine we have experienced in Palestine. ..At the same time the British were seeking the help of anyone against Germany including the Arab and the Jews. Consequently, the Arab have fought along the British in the Hope to gain independence of Turkish, unknowing what the British have been cooking with the Jews and the Americans against the map of palestine. 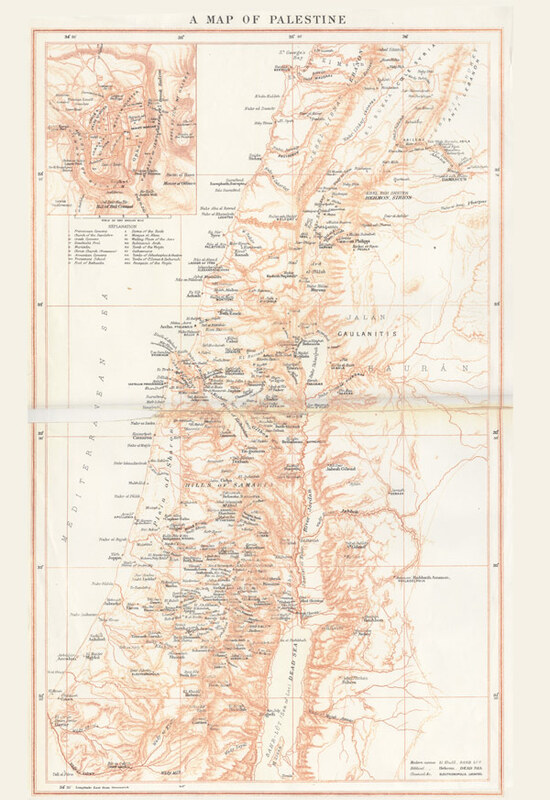 This illustrates the location of Lake Tibereas ( See of Galilee)-Palestine.see other maps. other maps of palestine included in the slideshow or slid show. In this slide the poets Samish Qasim, Kasim, Fadwa Tukan poems and poem fond of the map of palestine. Moses leaves Egypt, late in this period and seeks refuge inPalestine. Moses works as a shepherd with a Canaanite family andgets married to one of his masters daughters. The Canaanitesextends invitation for the Jews in Egypt and Moses returns toEgypt to guide his people to his father's in law nation guided. The evident of the first settlements of the Palestinians in Palestine is dated back to at least more than 1.5 million years ago in south of Tiberias ( sea of Galilee ). The growing of the Plestinian civilization was crowned by the establishment of the first government in the history in Jericho-Palestine in ninth millennium B.C. Among those who sought Palestine as a refuge Abraham from Hurrien-Central Asia and was received warm welcome from the Palestinians providing him shelter and job ( 2000 B.C.). Abraham (Ibrahim in Arabic) left Palestine to Egypt due to famine the Palestinians have experienced in Canaan (Palestine)*. Until he was old, Abraham had the first son Ishmael and then Isaac. The elder son of Isaac Esau broke with the clan when he was cheated out of his birthright by younger Jacob. Eventually, Esau joined the Ishmaelite, whom along with the Palestians and other great nations in the area had mixed in increasing scale to create current Arab Nation of the Arab World. A divisive tendency similar to that in the family of Abraham and Isaac appeared in the family of Jacob whose sons sold most of their numbers to the Ishmaelites. See map of Palestine. While, the Palestinians found ourselves paying the price for being in the buffer zone ( the limits of super powers), the Jews always took advantage of the rivalry and took the side of the stronger ( see slide shows for details ). They had collaborated with the Hyksos during their control to Egypt and Palestine (1710-1480) and in revenge and punishment Pharaoh put them under enslavement. The Palestinians offered again shelter and Job to moses, as they had done to Abraham, and due a wider invitation Moses along with the Jews were able to escape enslavement in Egypt. The Jews repeated rejection to accept the higher God of Moses to be above theirs ( who were many ) and his prophecy, and being inpatients to a journey in the dessert had led moses to abandon them to wandering in the wilderness. In twentieth century and due to rivalry between churches and the states of Europe Jews rushed to collaborate with the British against Germany during World Wars (I & II )**. The official announcement of Balfour declaration November 2, 1919 ( the policy of Balfour Declaration started earlier in 1917) was Britain's part of the deal that brought the Americans into the war.
" I do not think I have ever had as much pressure and propaganda aimed at the White House as I had in this instance. The persistence of a few of the extreme Zionist leaders-actuated by political motives and engaging in political threats disturbed me and annoyed me. Individuals and groups asked me usually in rather quarrelsome and emotional ways , to stop the Arabs, to Keep the British from supporting the Arabs, to furnish American soldiers, to do this,that and other"
According to Secretary of state Dean Acheson who opposed the partition of Palestine, President Truman was "sucked in" and he himself exerted pressure on members of the United Nations or had such pressure exerted in his name. It is such kind of pressure that led to the partition of Palestine in November 29, 1947.